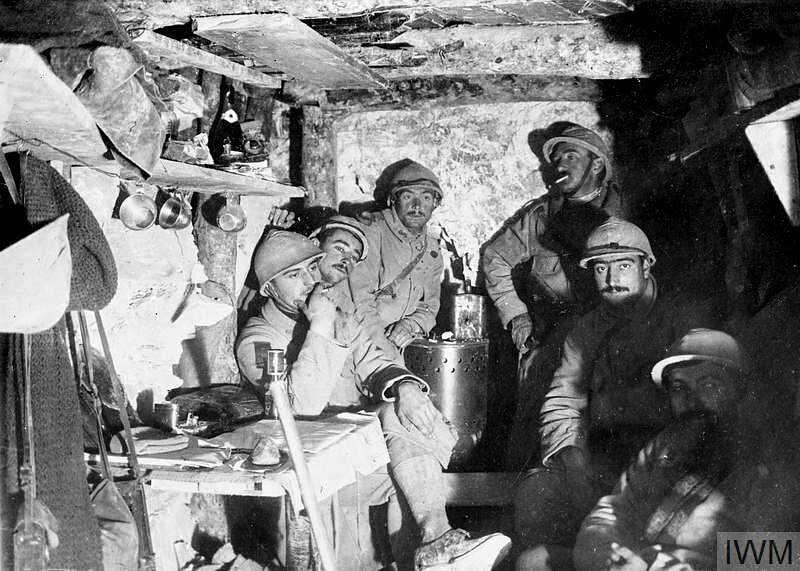 ​The Battle of Artois is the name of three battles fought in the Artois region of northern France during World War I: The First Battle of Artois (December 1914 – January 1915), was an early and indecisive encounter during what became known as the `Race to the Sea`. 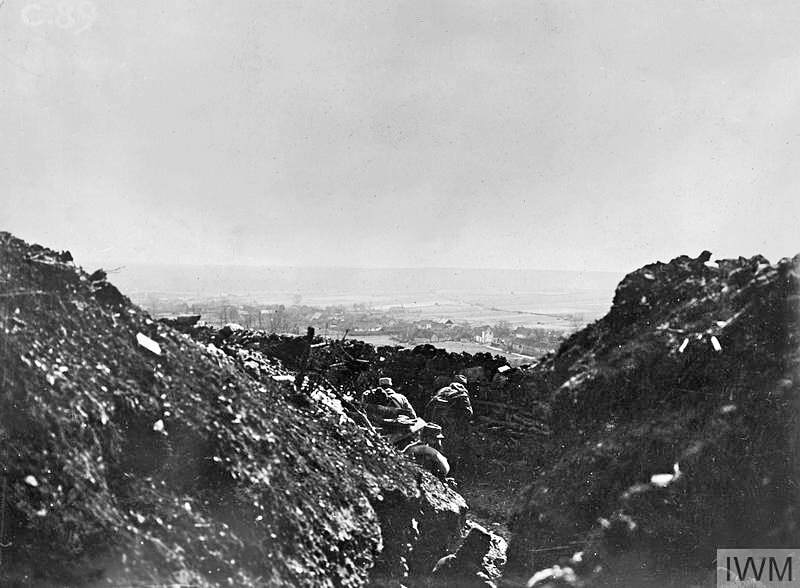 The Second Battle of Artois (9–15 May 1915) was a major French attack towards Vimy Ridge, and the Third Battle of Artois, also known as the Artois-Loos Offensive, took place between 25 September – 15 October 1915. 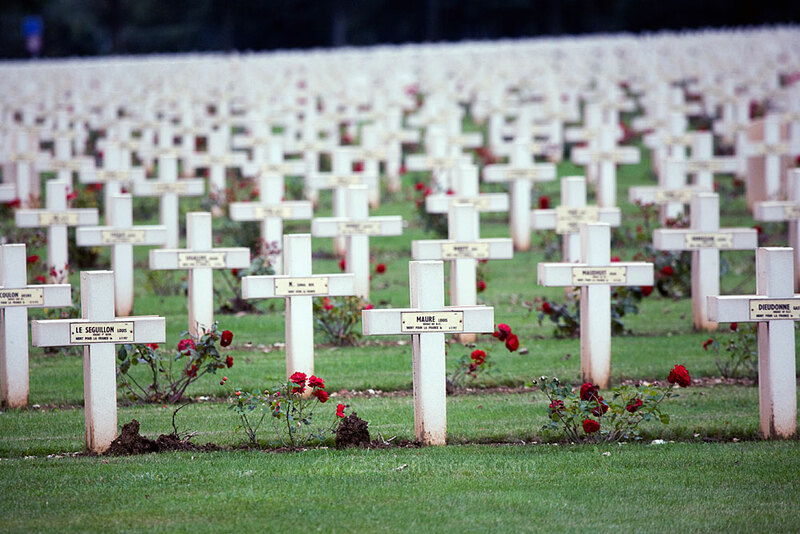 This is the French National War Cemetery at Notre-Dame de Lorette which is located on a piece of ground that lies to the north-west of Vimy Ridge on the Somme battlefield. 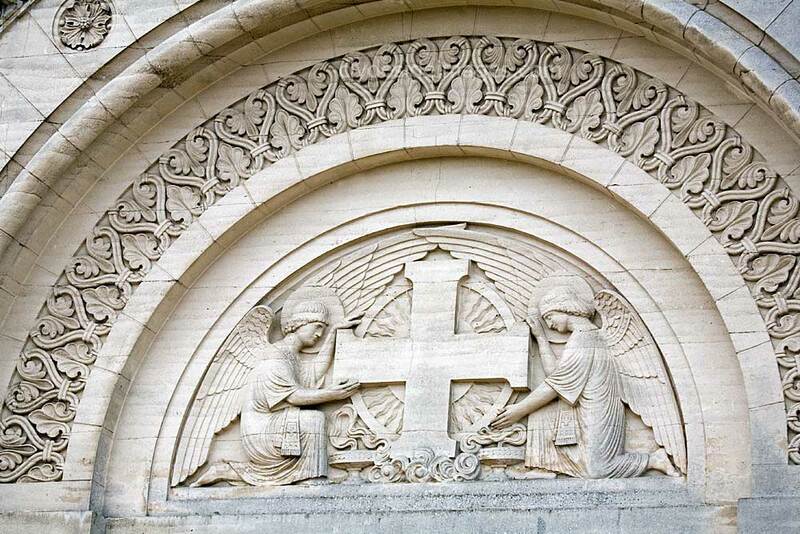 ​In 1727 a chapel was built on this hill and in 1870 the building was enlarged to become a church. 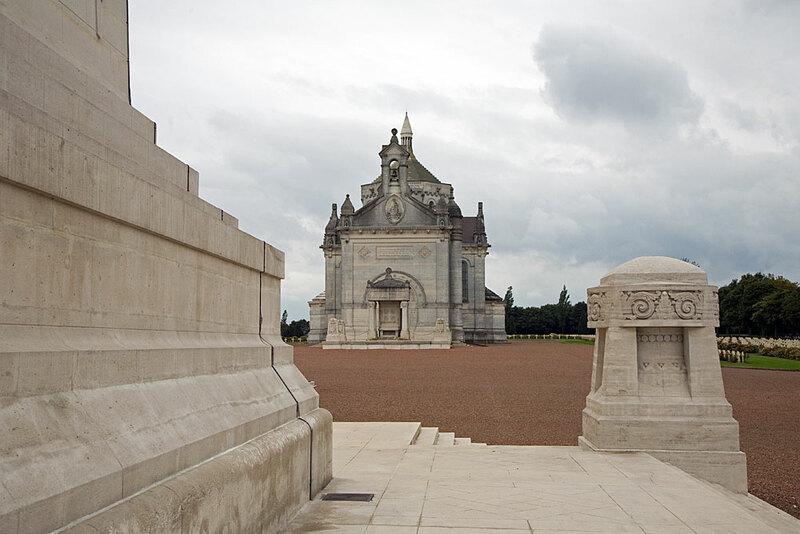 With an elevation of 165 metres above sea-level the site offers commanding views across the countryside and on a clear day not only Vimy Ridge is visible, but also the city of Arras to the south and the battlefield of Loos to the north-east. 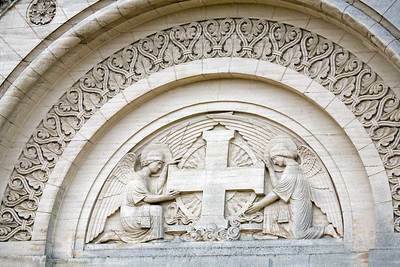 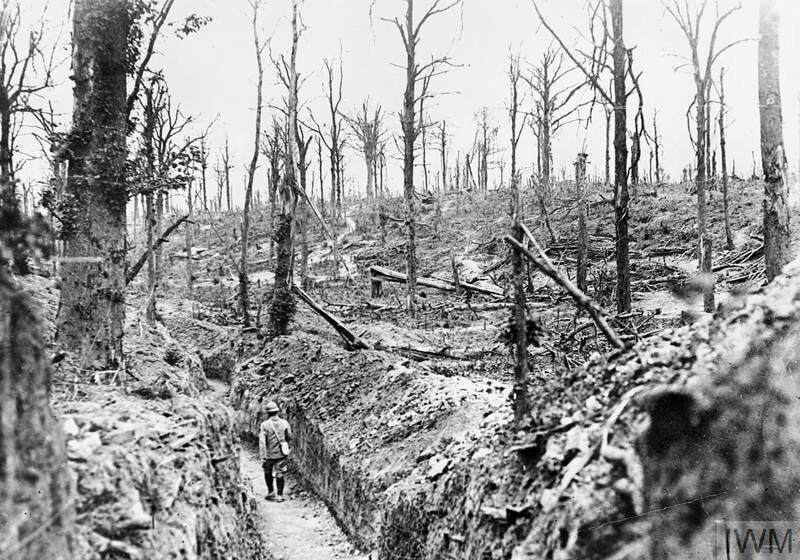 In 1914, during the `Race to the Sea`, the Germans seized control of the hill and pushed the French back to form trench lines to the west of the present Basilica which had been built on the site of the original chapel. 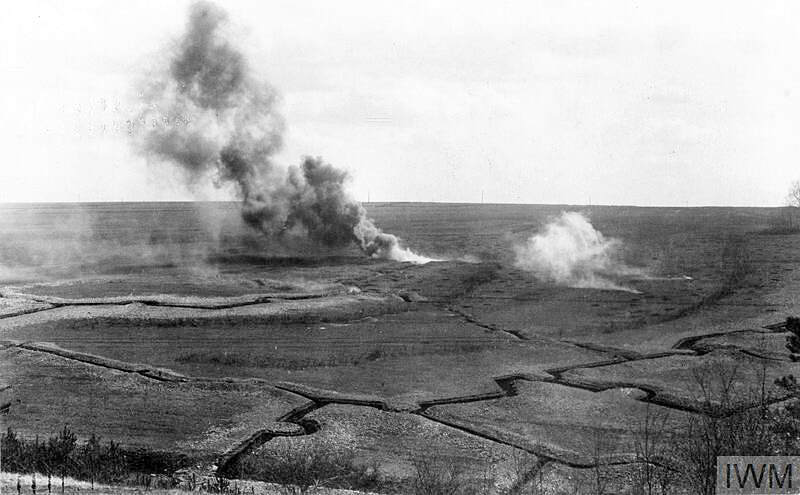 The following year the French mounted two major actions to recapture the high ground. 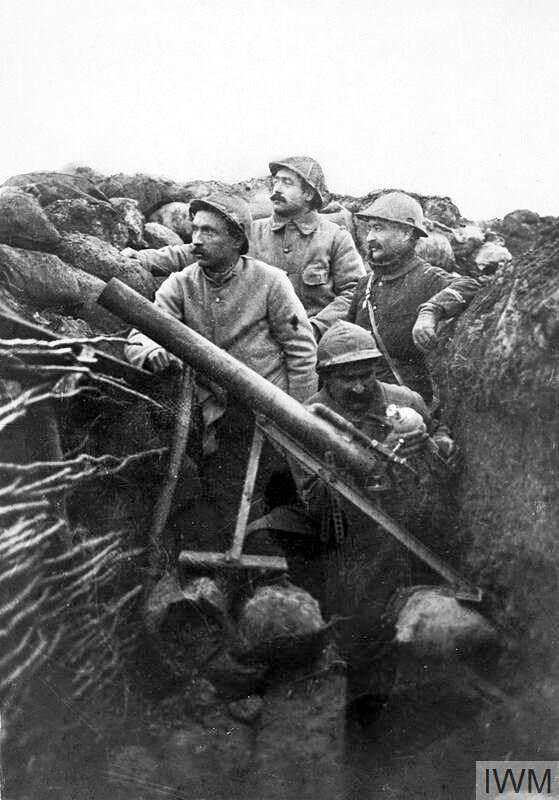 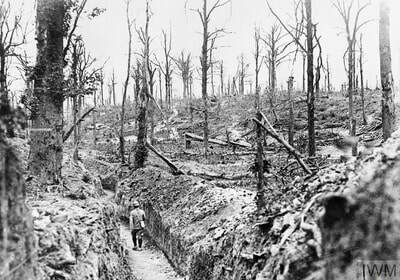 On 9 May 1915 the 21st and 33rd Divisions, under command of General Petain, attacked to the south of the hill as part of a larger offensive but although gains were made along a large stretch of the front, the French were unable to wrest control of this hill from the Germans. 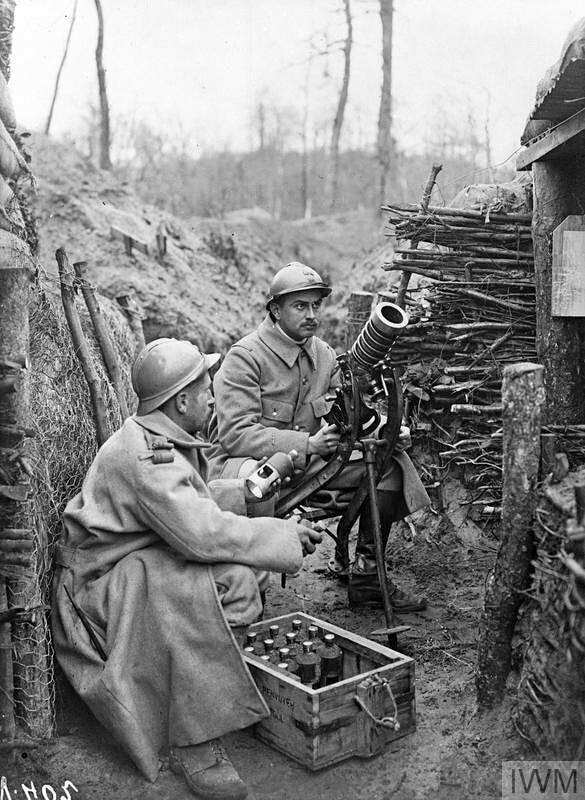 Just over a month later the same Divisions attacked again but determined enemy counterattacks in July threw the French back almost to their original starting positions. 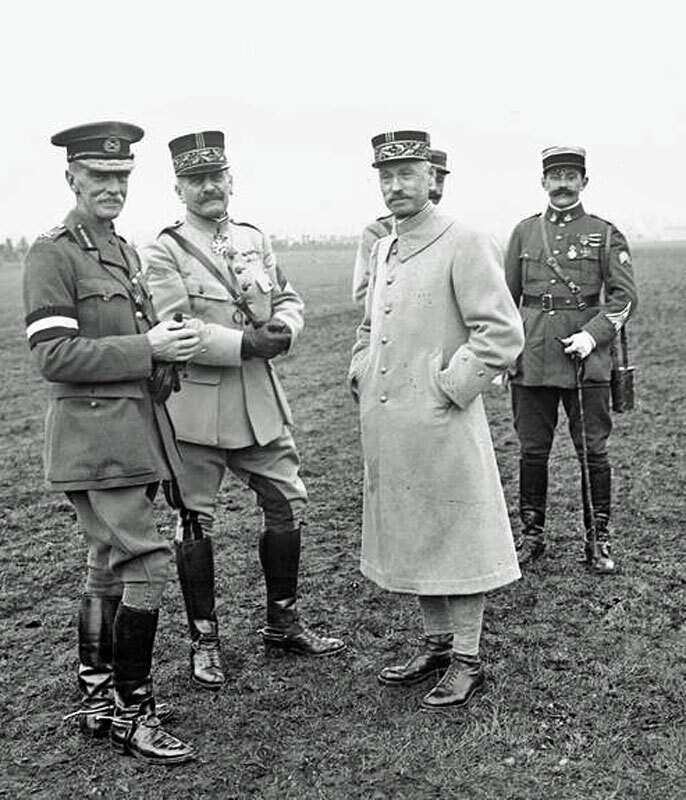 In September of the same year a further major attack by the French proved more successful and although they captured this hill, Vimy Ridge resisted and would remain firmly in German hands until the Canadians captured it almost two years later in April 1917. 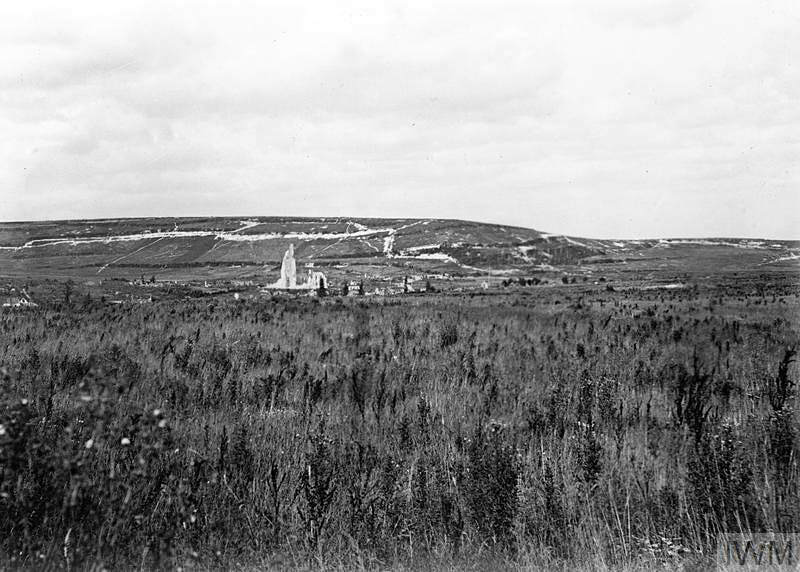 The above photo of the church at Ablain-Saint-Nazaire and the Notre Dame de Lorette ridge was taken on 26 August 1917. 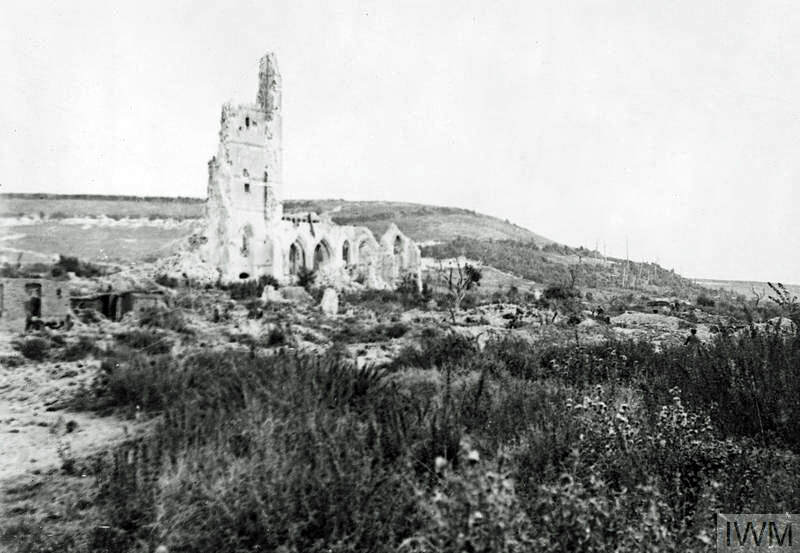 Above: The ruins of Ablain St. Nazaire Church and village, and the Notre Dame de Lorette Spur from the south. 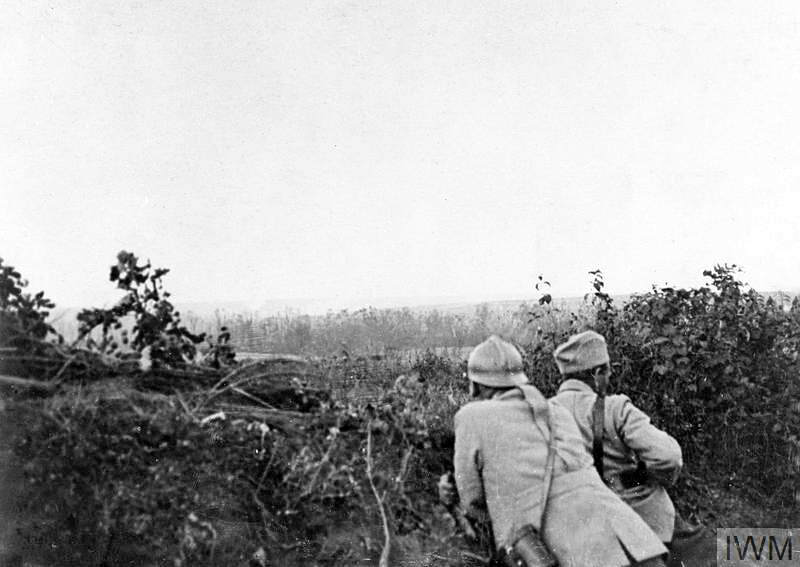 The image on the left shows German positions on the Notre Dame de Lorette under artillery fire during the Battles of Artois in 1915. 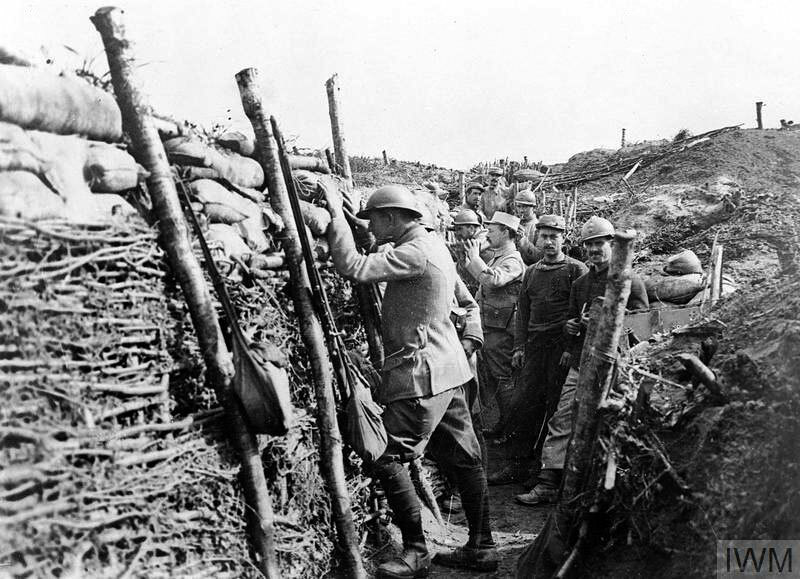 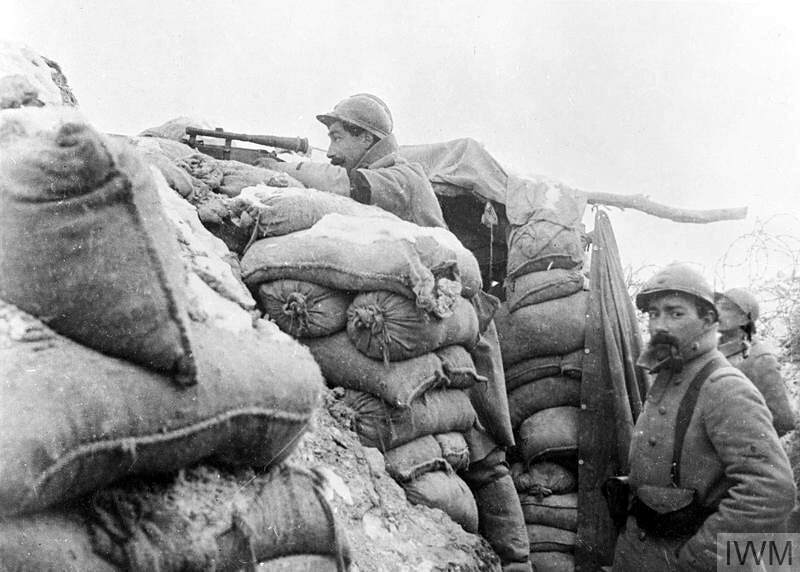 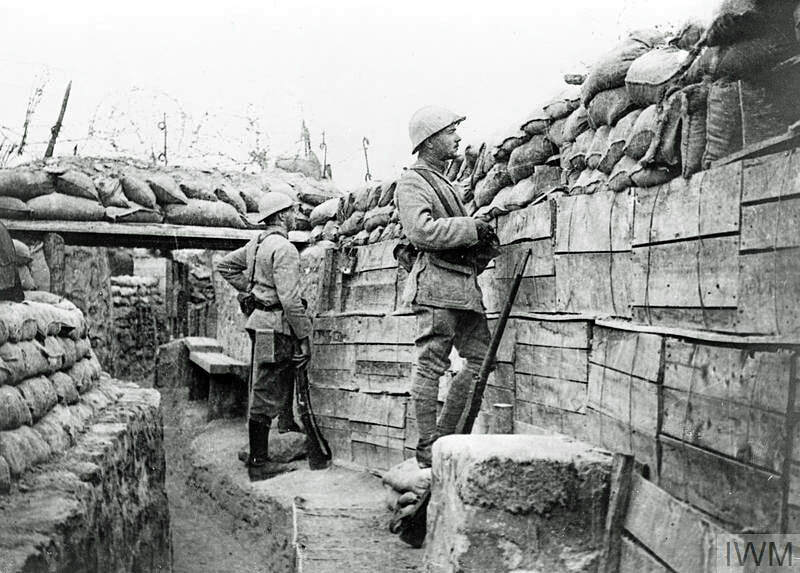 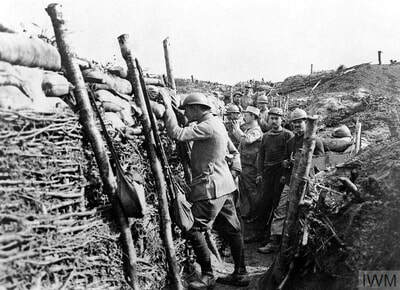 French troops in front line trench on Notre-Dame-de-Lorette showing extensiveness of view beyond, 15th March 1915. The above gallery and following IWM photos show typical French Army trench scenes taken in other areas including some locations fought over during the various phases of the Battle of Artois. 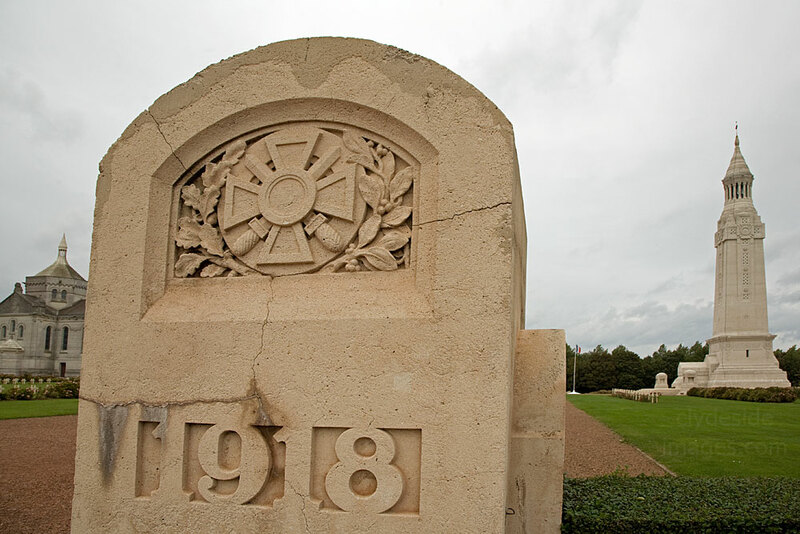 This cemetery contains 19,000 identified burials and six mass graves with the remains of more than 16,000 soldiers. 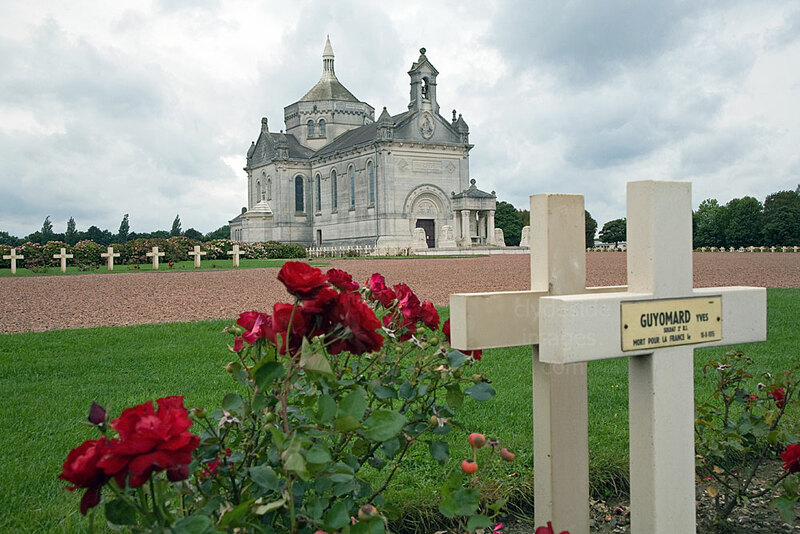 One of the first graves passed on entering the site is that of General Barbot, a National Hero, who is credited with saving Arras from German occupation in 1914. 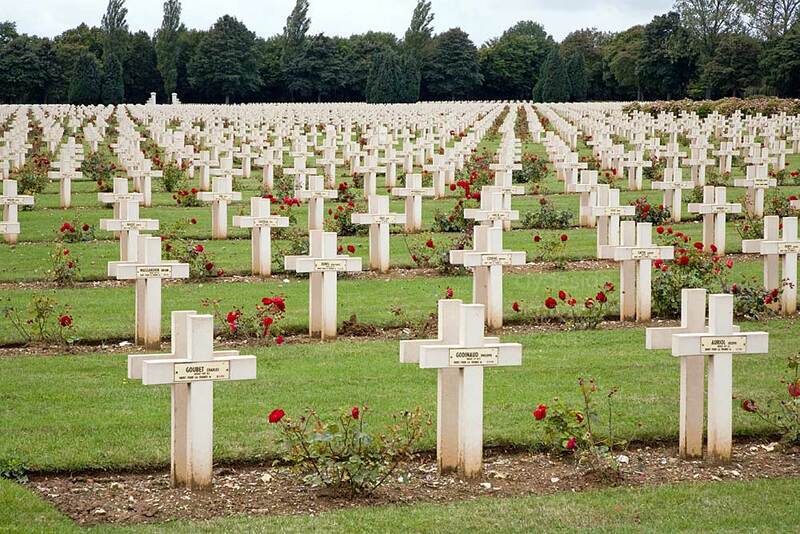 He was killed in this area in May of the following year. The tower represents a lighthouse and 200 steps inside the structure lead to a gallery window which allows visitors to look out over the battlefield and contemplate the vast number of French casualties who fell in this relatively small section of the Western Front. 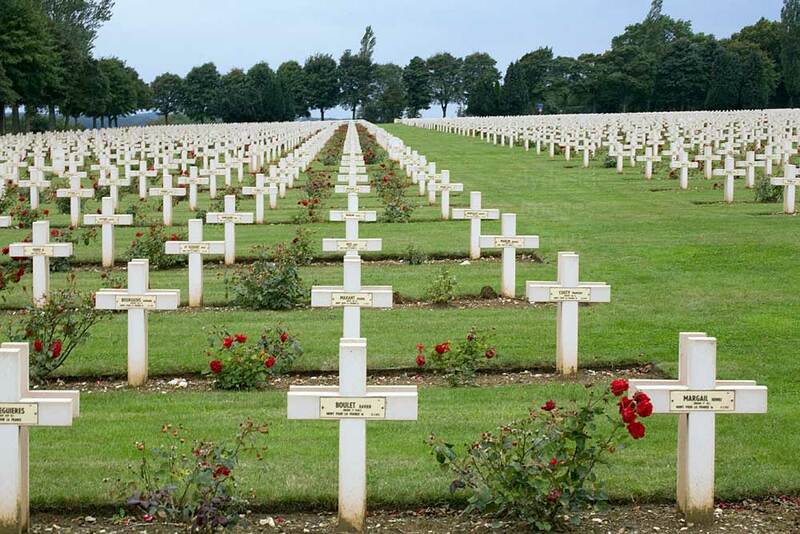 The 3,000 candlepower light that rotates five times every minute can be seen for more than 40 miles. 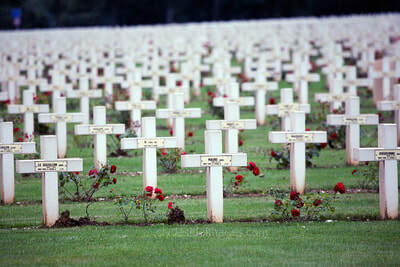 The tower, which was designed by Maitre L. Cordonnier, has a crypt which contains an unknown soldier from the Second World War, ashes from citizens deported to the concentration camps, an unknown soldier from North Africa and an unknown soldier from Indo-China.